A house with a lot of history was torn down in 2014, but little of its former glory was left by then. The large Victorian on Governor Street, which had long been an office building, was razed to make way for the new Ridgefield Visiting Nurse Association headquarters. It was a building that had led four lives in its two centuries, including several decades as the House of Friends. 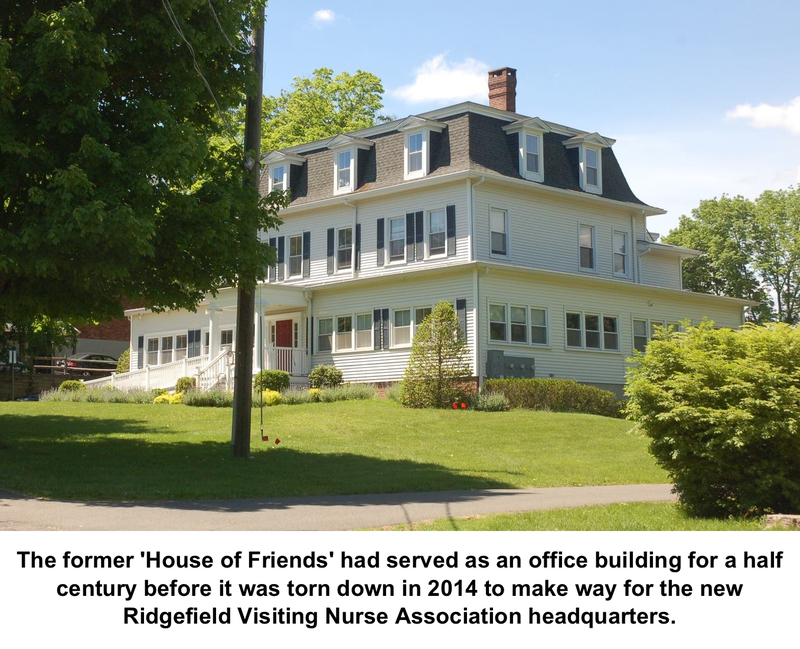 The building originally stood on Main Street, in front of today’s Community Center, where it had been the home of the Perry family, which produced three prominent Ridgefield physicians. It then became the home of Gov. Phineas Lounsbury, who turned a colonial-style structure into a Victorian. 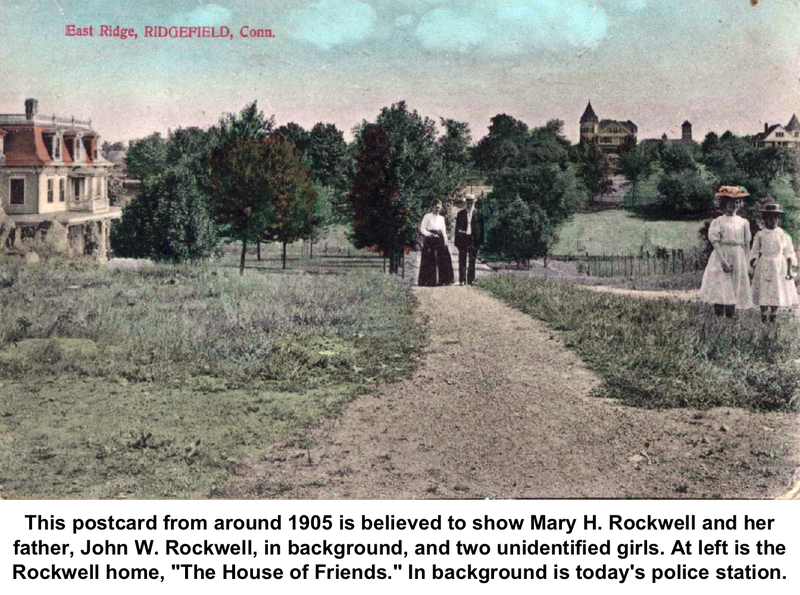 When he decided to build a grander place, today’s Community Center, he moved his old house to Governor Street where it became the home of Mr. and Mrs. John W. Rockwell and and their daughter, Mary. 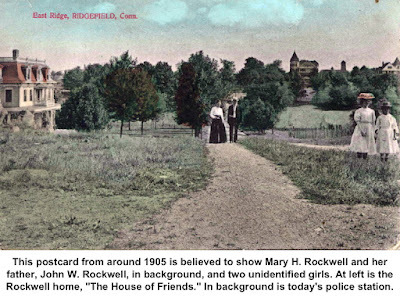 John, longtime owner of The Elms Inn, probably paid a modest price because the Rockwells and Lounsburys were relatives. school in Hackettstown, N.J., that is now Centenary University. 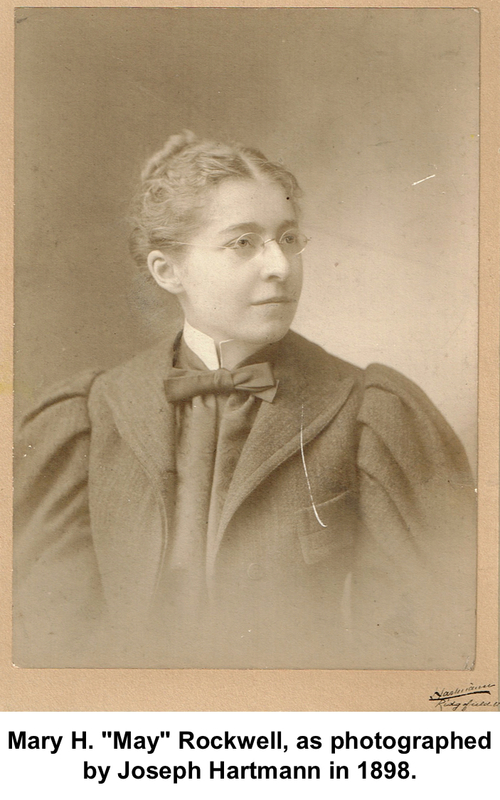 In 1891, when she was 17, her parents sent her to Europe and she spent six months studying music in Berlin, Germany. 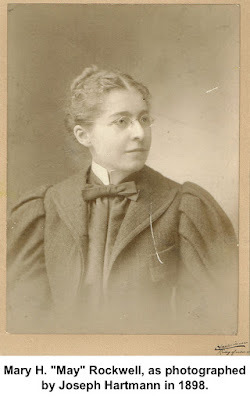 She later also studied at Oberlin College. 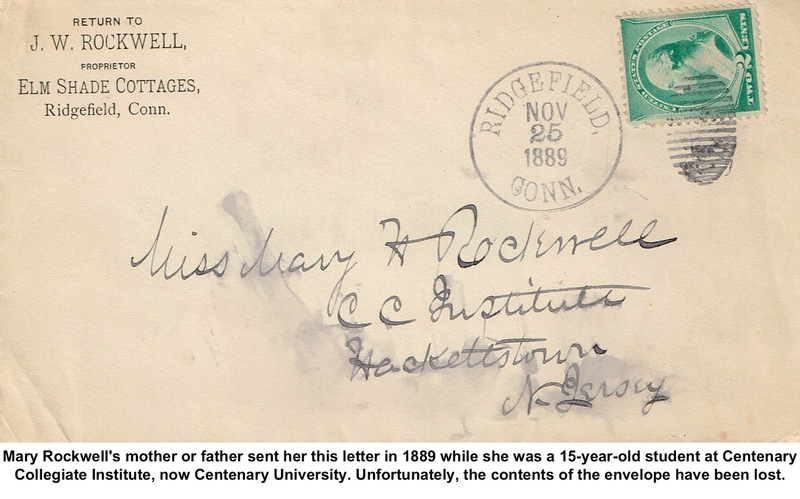 “Miss Rockwell was a tall, stately woman whose life was clouded by poor eyesight,” wrote Karl S. Nash in 1980. “She was an albino with one-quarter of normal sight in one eye and none in the other. 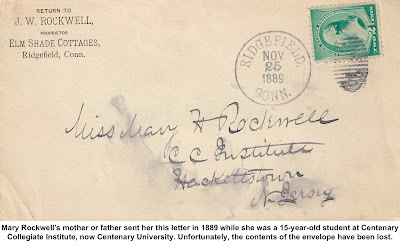 Rockwell was an accomplished pianist who taught piano to hundreds of Ridgefield children over more than 30 years, at first with her cousin Faustina Hurlbutt. The Hurlbutt-Rockwell School of Music regularly gave public recitals at her home. Among those friends, best known was Mabel Cleves, her companion of more than 40 years (previously profiled in Who Was Who). Columbia-educated and Montessori-trained, Cleves began teaching here in 1898, and established not only the first kindergarten in town but also a public preschool. She also founded the PTA in Ridgefield. In late life, Miss Cleves bought an automobile and learned how to drive it. She would take Rockwell and other friends on fairly long rides around the countryside. “Sometimes Mary and Mabel would go wading at Compo Beach or Sherwood Island,” Nash said. Besides long-term clientele, guests at the house included actors and actresses doing summer theater, and teachers and professors on summer break. The place had a “high cultural level,” The Ridgefield Press once reported. At Oberlin, Rockwell had studied under Professor Charles K. Barry who later became a regular summer visitor at the House of Friends. Frail and infirm, Rockwell sold the house in 1947 and died two years later in a nursing home. Mabel Cleves died in 1952.